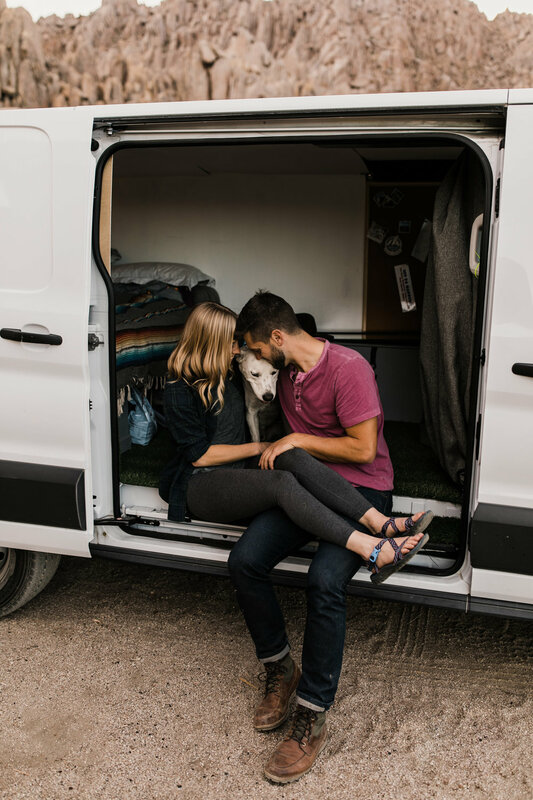 It's always really fun when we get to work with couples who found us through our personal Instagram because we pretty much know they'll be down for adventure and stoked on the same things we are. Hannah and Jason were no exception! 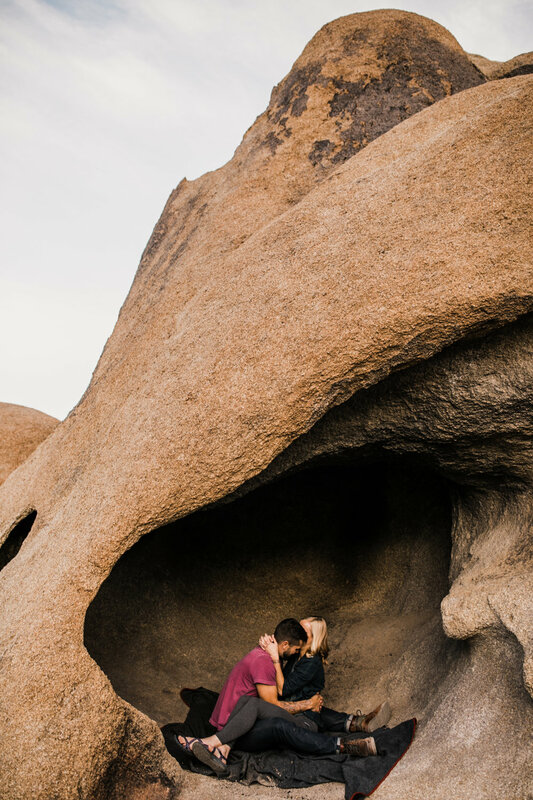 When they reached out about doing their engagement session in Alabama Hills, we pretty much knew we'd be fast friends. 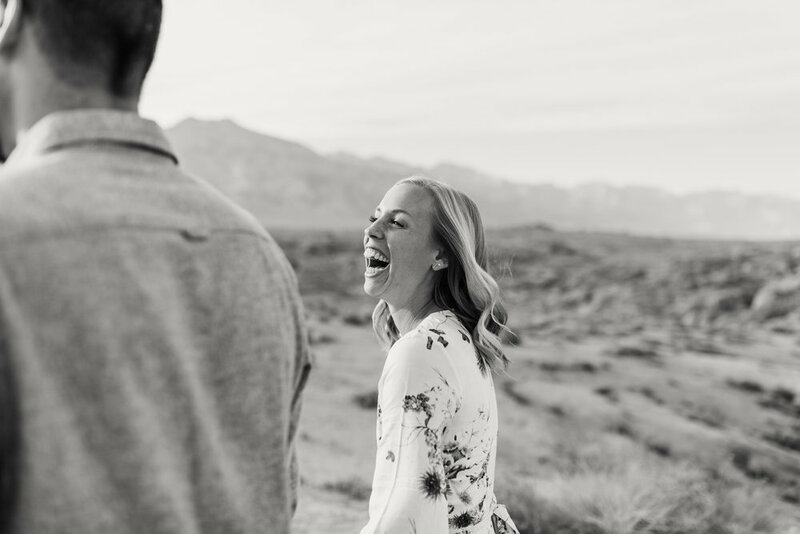 Our schedule was getting pretty full, but we were able to fit them in right after a 12 hour wedding day on our way to Moab, Utah so the morning of their session we drove 6 hours out to the hills and met up with them for lunch before. It was so fun finally getting to know these two after exchanging multiple messages and comments on instagram and of course, meeting their sweet dog Jack. 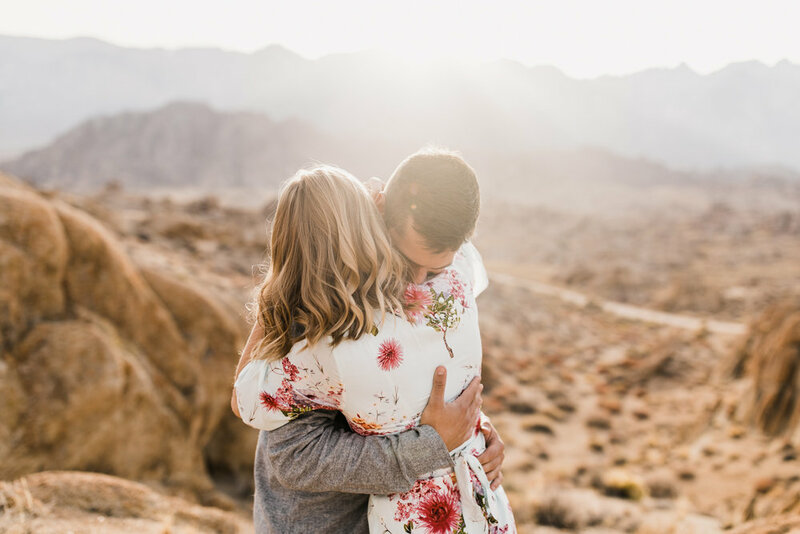 There was so much to love about these two and their session, but I think it all boils down to the fact that we got to meet up with them in their element. 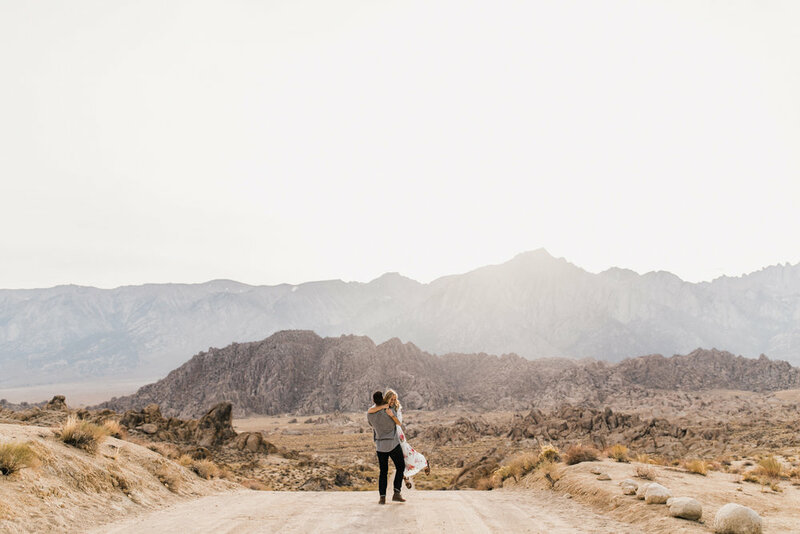 They road tripped across California and had been camping in Alabama Hills all weekend and we felt like we were just joining them for another evening in the desert. 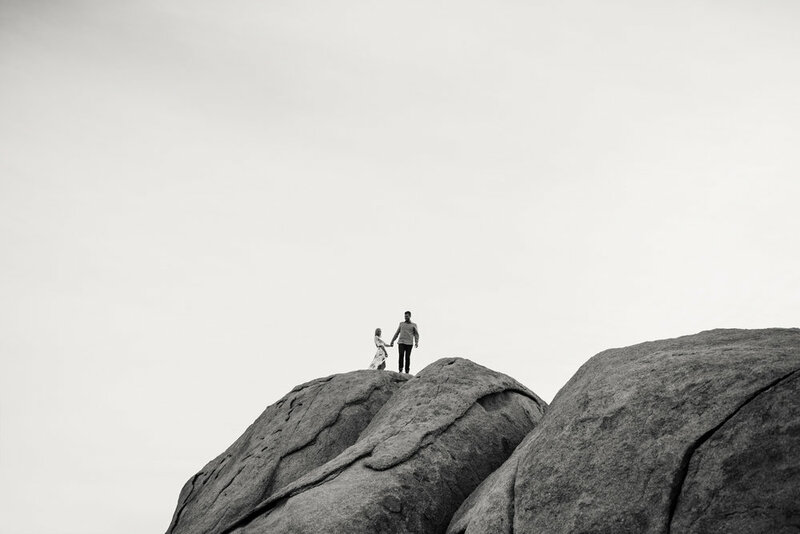 They were so comfortable in this location, already knew how to climb around on the rocks and what to watch for on the ground, and even brought us to some favorite spots for photos. We ended the evening back at a rad campsite with a campfire and some van snuggles. Once the sun went down and the cameras were put away, we spent hours chatting over the fire, sipping wine and enjoying the bazillion stars above. We even set up the projector to watch a movie on the side of the van! We pretty much declared ourselves the kings of #vanlife after that. It was so fun to get to meet up with these two as clients and then camp together as friends. 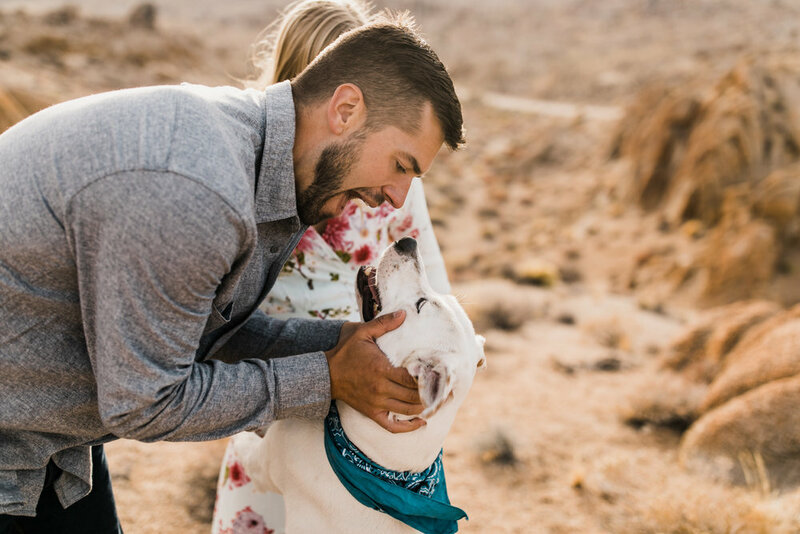 We loved hanging out with them in their favorite place and are so stoked how well the photos capture their connection to each other, their dog, and the land they love.